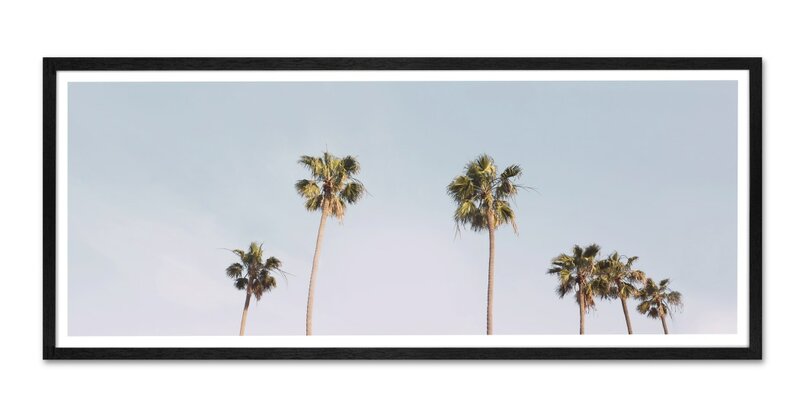 Think California and you'll think palm trees and sunsets. This photographic print has both, in pastel tones. Thanks to its wide, short frame, this print would look great over a bed or sofa.